Following a year of careful consideration, the elders of Ngāti Kura and Ngati Rehia hapu, representatives of the Department of Conservation and the local landowners approved a particular selection of boulders for the sculpture. 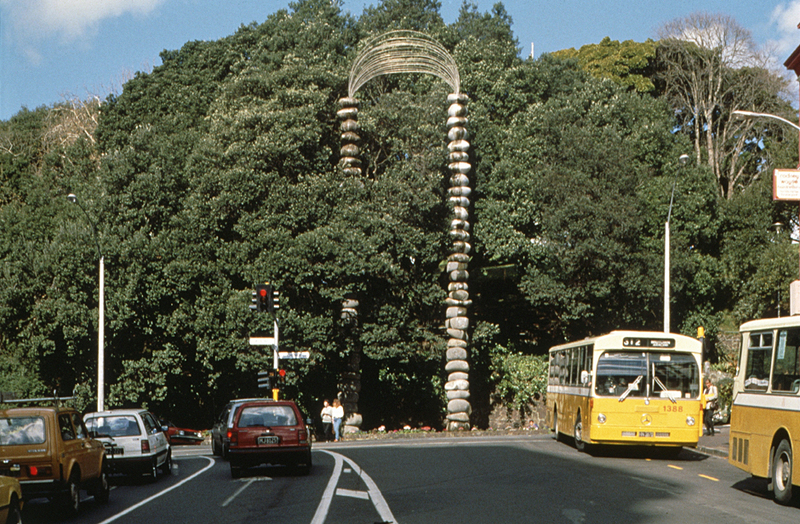 Ngāti Kura elders lifted the tapu from the stones and donated them for the project as a gift to Auckland City. Because of the threat of seismic movements, structural engineers required the 18m columns to be basalt boulders on the lower half with a lighter material above. Aluminium is a very common mineral in the earth and could be made to complement the boulders. With many setbacks, the work took two years to complete all the components, but only two weeks to assemble on the site.